Do you want a more sustainable lifestyle? Make more yourself, do more yourself, grow your own, eat healthier, take care of your family and our planet and create a home you can love? Healthy Planet, Healthy People, Healthy Home is here to help! In the book you will take small steps, to make a difference to the sustainability of our planet, increase your health and happiness and tread more lightly on the earth. This is not about feeling guilty for the things you are doing or not doing – it is all about giving you the tools and information to take small steps which will make a difference to the health of you, your family, your home and our planet. We are all about small steps and reducing eco-anxiety. This book is really for everyone. 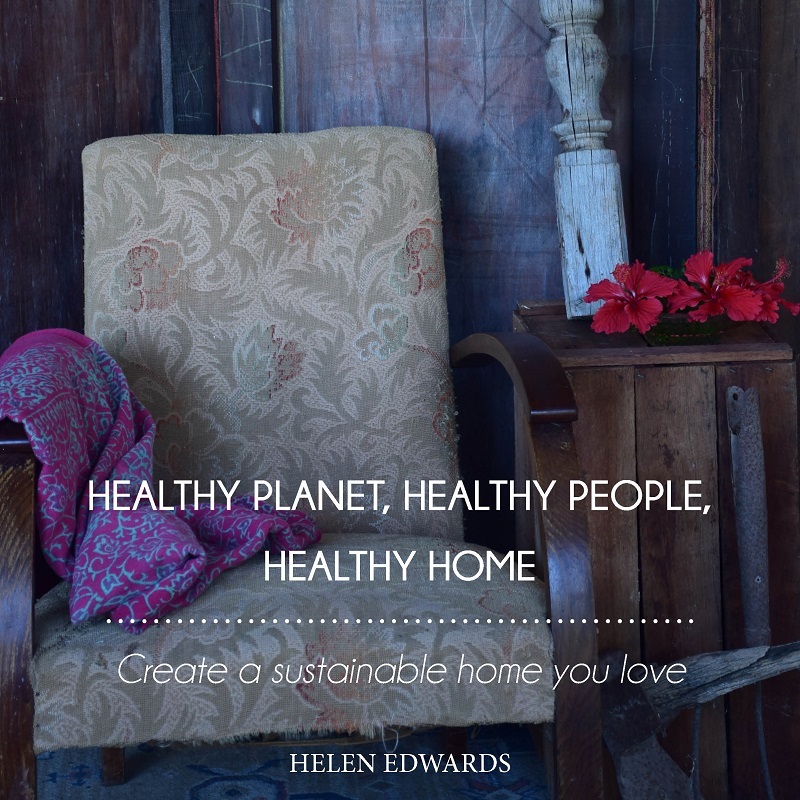 We all need to understand how to be more sustainable in our homes and our lives. It is something anyone will benefit from, and you will take away inspiration and ideas for your home and your life. Take the time to spend time on you – your health and wellbeing & integral to the health of our planet – it is all connected. In particular this book is for you if you are interested in designing, building or renovating your home; want a broad overview of passive design; ideas about how to use less energy in your home; solar energy and home battery storage; and how to be more mindful in your decorating. If you want to take more time to have a hands on approach to your lifestyle you will find basic advice on gardening and composting at home; information about the importance of bees in your garden; information & guides about sustainable food; tips on waste management & more! Take more time to have a hands on approach to your lifestyle with craft, DIY and cooking; make, mend and upcycle; try a range of craft & upcycling projects shared by some clever creatives; and feel more empowered to make changes in your life. Delicious recipes from a range of people including my darling Grandmother who lived until she was 101!